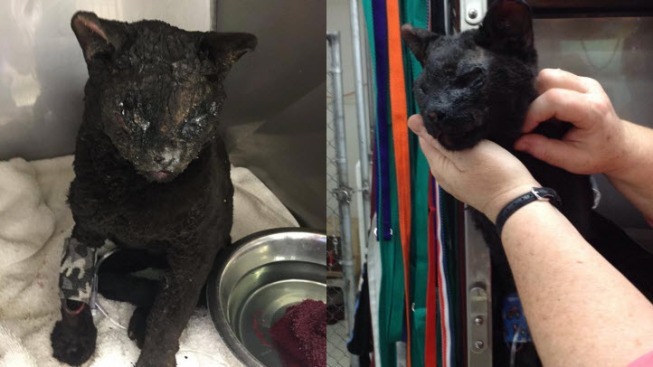 A veterinary group is trying to find the owners of this cat who was rescued from the Valley Fire, Despite being badly burned, the cat is doing reasonably well, the clinic says. 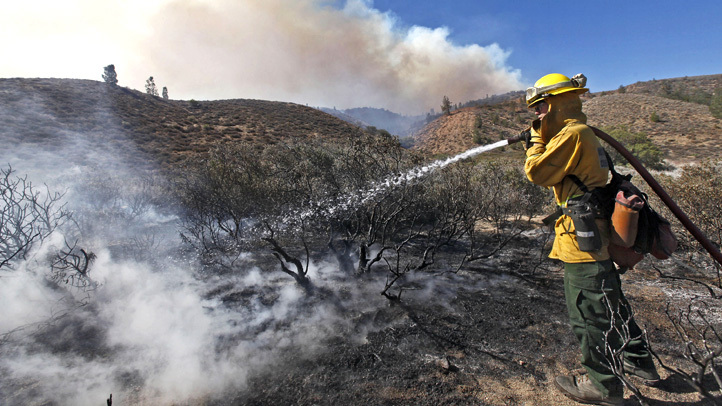 It’s not all devastation and destruction when it comes to the Valley Fire. Stories of survival, hope and kindness are making the news as well. On Tuesday, staff at Wasson Memorial Veterinary Clinic were looking for the owner of a cat which was badly burned in the fast-moving blaze but miraculously survived. Firefighters rescued the cat from Driveway 19594 on Highway 174 near Middletown, one of the towns that suffered the most damage. The clinic is caring for a total of 13 cats and two dogs, and all of them have owners except for the burned cat. "A lot of these cats were brought in by people who lost their homes and had to evacuate," a clinic employee said. Volunteers and vets have been working around the clock to rescue pets, horses and livestock who have been missing since the fire started, exploding through three Northern California counties and growing to 104 square miles as of Tuesday. A Facebook page has been set up to connect missing pets with their owners, where dozens have been uploading photos of their dogs, cats and horses. The Middleton Animal Hospital has rescue groups out searching for missing animals. Messages are pouring in there as well. If you need an animal rescued or fed, you can text them the address at (707)-349-9058.